Sadly on Friday night, Vj was given some important assignment at work that had to be done on Saturday. He told us he wouldn’t be able to make it to the zoo. I was at the verge of dropping the plan, but I just didn’t have the heart to disappoint my little girl. So, KT and I joined our friends and went ahead with our plan! Although KT missed Vj’s company a lot, she had a great time. The weather was perfect – cloudy and cool. The zoo and the animals were so much different from what I had last seen. The zoo has been cleaned and renovated for its 50th Anniversary next month. Loads of new animals have been added and it was wonderful to see them in large enclosures very similar to their natural habitat. The animals looked really healthy and well fed. Most of the animals like the white tiger, hippo, Himalayan bear and a few others, though massive in appearance, were hardly a year old! Although, we often think a Zoo is meant only for kids. That concept gets shattered when you are face to face with exotic wildlife creatures. Unknowingly, you become a child once again. A sense of wonder and amazement grips you when you look at God’s unique masterpieces. Walking past the cages and gazing at the animals and birds, my friend and I were discussing how every aspect of God’s creation matters to Him. Each animal has an identity, a unique feature. Each bird so beautifully color coordinated. Just incredible! We loved almost every other creature we saw. 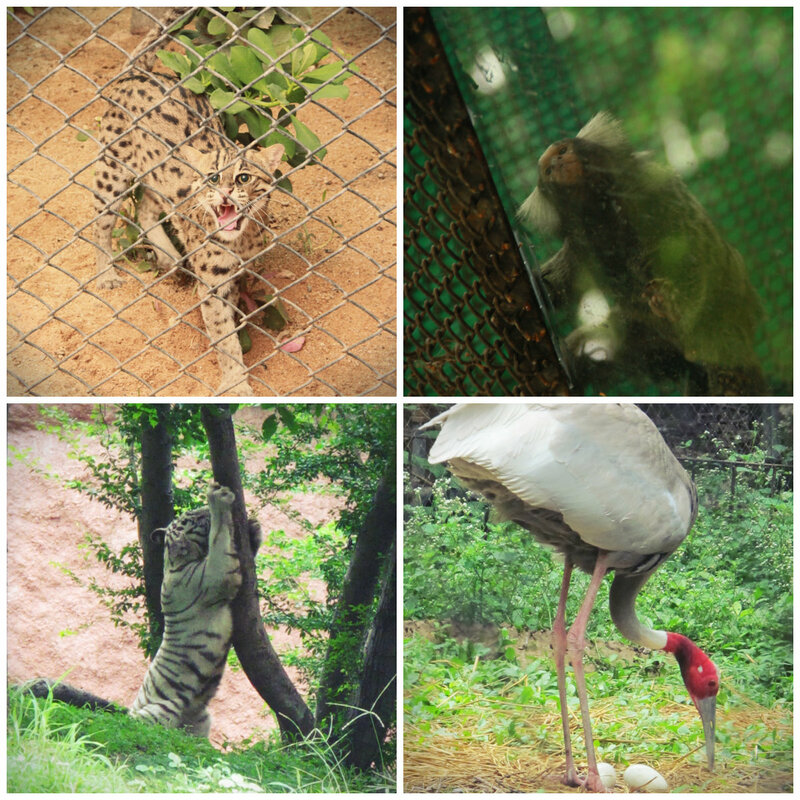 Nonetheless, our favorites were, the miniature wild cats (Mini leopards and cheetahs. So petite and majestic! ), a cute little monkey (Don’t know its name. But it was no bigger than an adult’s palm), the tigers, giraffe and the huge birds! Even the chameleons put up a mesmerizing show! It was one fab Saturday with great friends and animals for company! 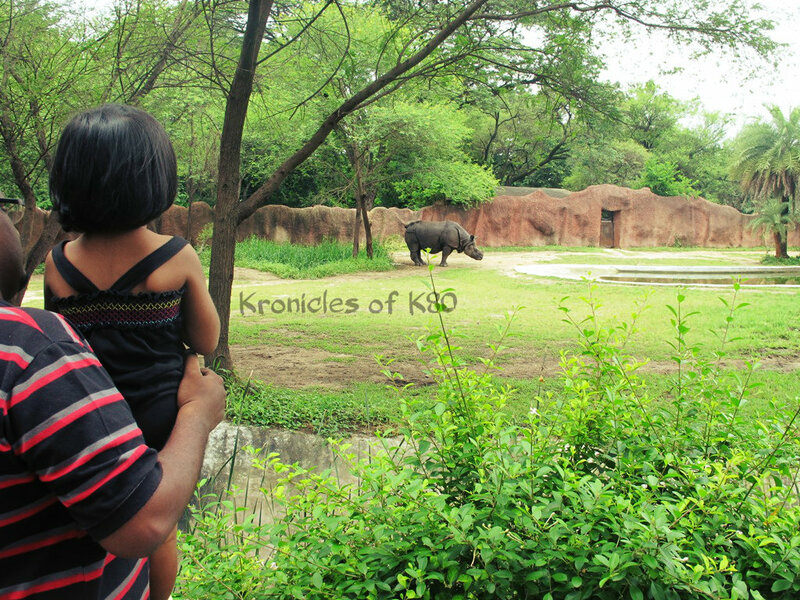 If you are in Hyderabad, do visit the zoo. It is the best time for a visit as even the weather is very pleasant. 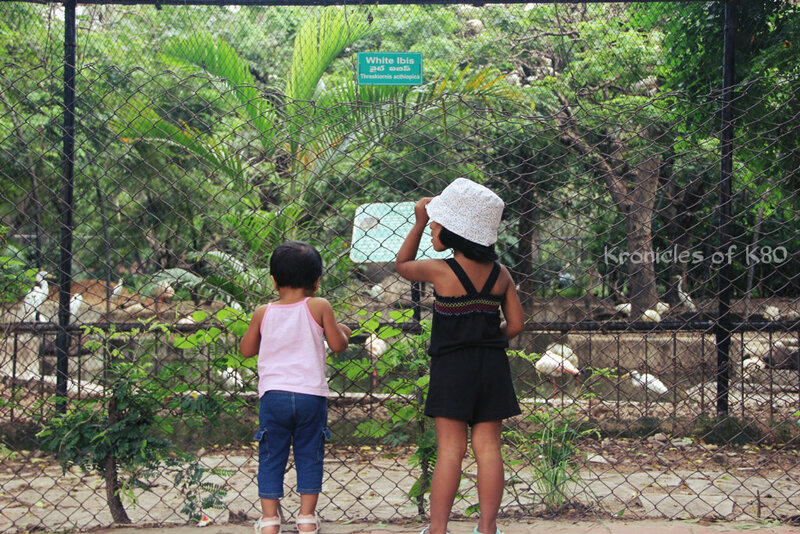 It is said to be one of the best zoos in India with almost 380 acres of land and loads of interesting animals to see. Visit www.hyderabadzoo.in for more information! We’ve been planing for a long time and Jessica is all the more excited and keeps asking about zoo so quite often but we just dont find!! Lovely pictures Michelle! Oh no! Please take a Saturday off and take her! She’ll thoroughly enjoy it!